If you thought backpacks were just for school, you may want to reconsider after seeing this adorable heart backpack perfect for your next adventure. Trés chic and trés pink. This jaunty beret is surprisingly versatile, matching everything from your favorite jeans and tee to a fancy overcoat and heels for a night out. There’s nothing worse than a cracked screen, so take preventative measures with this padded case…which also happens to come in the prettiest shade of marbled pink. Tell the world who, or in this case, what, your heart belongs to with this cheeky luggage tag from our favorite ladies at Ban.do. The best part? With a tag this unique, you’ll be able to easily spot your beloved bag. Retro glasses are back and we couldn’t be more excited! Try out the trend for yourself with this glamorous cat-eye frames and feel like a true old-time Hollywood star…even if you’re just running weekday errands. 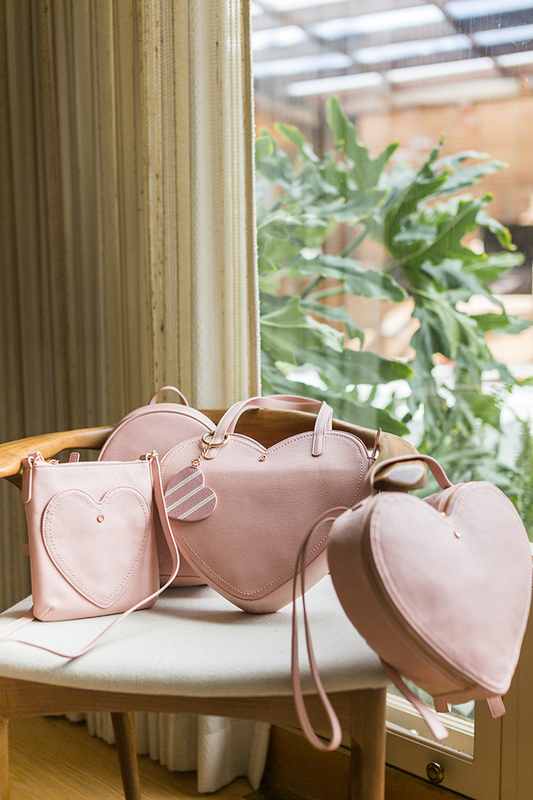 We love how the neutral stripes on this bag make it easy to wear all year long, while the sweet heart pocket adds an extra special Valentine’s Day-inspired touch. Big headbands are having a major moment right now, and this gorgeous pearl encrusted piece is both romantic and show-stopping in the best way. If your Valentine’s Day look needs a little touch of glam, consider it handled. We’re big fans of simple jewelry that you can wear every day, so this elegant heart ring already has a place in our stack. Think of it as your tiny reminder to send some love out into the world, even when it’s not February 14th. The pretty red hearts on these sheer socks make them Valentine’s Day appropriate, but these beauties can be worn year-round with pretty much any type of shoe. These tasseled earrings are the perfect way to inject a little fun into whatever you’re wearing, while the understated pink color prevents them from stealing the spotlight. Are you a Valentine’s Day fan or a skeptic?